Today, all around the world, the construction resource directories are gaining huge popularity. Two main countries where these directories are becoming popular very quickly are USA and Canada. There are large amount of construction industry resource directories that are being used in these countries are re also quite common there. 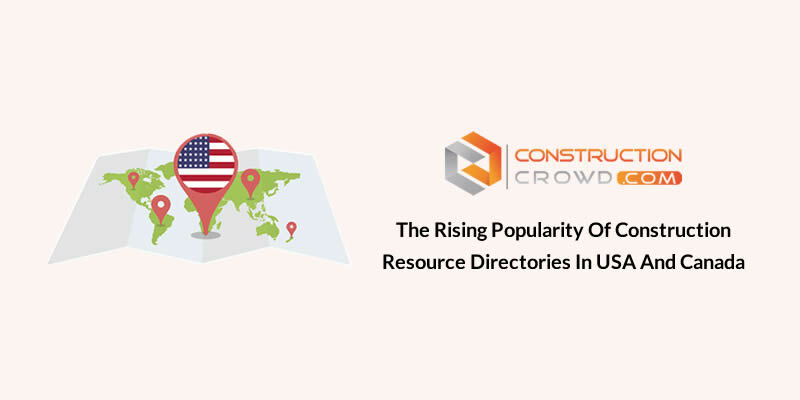 The reason behind the rising popularity of the entire online directory for construction industry in USA as well as in Canada is discussed in this article. So, scroll down and check them out. • The first and the very important reason behind the popularity of these directories according to most of the people is that the online directories for construction industry are the directories that help in ranking the construction business at the first page of the most popular search engines i.e. Google. By listing the business on these directories, the business owners can rank their business at first page if they use the right kind of keywords for their business listing. • Another important reason is that they provide cheap advertisements. Yes, you read it right. The online directories provide very inexpensive advertisements and business promotions to new, small as well as large organizations. Everyone especially the new business owners wants to get their business successful by investing a low amount of money and this is what the online directories really provide to them. The online directory business associations help in achieving online visibility as well as low-cost promotions and advertisements. • The rising popularity of these directories can also be due to the fact that they allow the customers feedback and give them importance. Because, with all the positive customer feedbacks and reviews on your construction business listing, an online resource directory for construction organization will result in the increased business reputation very quickly. And, this is one of the main reasons that entrepreneurs in Canada as well as in USA enlist their businesses in these directories and due to which these directories are gaining popularity. • Online business directory associations help in the business expansion and also give a more particular approach to the business owners so that they can easily enhance the online visibility and availability of their business and also spread awareness online. However, all the owners listing their businesses on these directories must need to ensure that the construction business is listed on more than one directories so that they can get full advantages from it. • The process of listing business on these directories is very simple and the benefits are amazing. This is one of the reasons that the directories are gaining popularity. The online construction business directory increased the visibility of the construction business online and the business website turns out to be effectively accessible to all those individuals who make the local searches in order to find a specific business in their area. Additionally, it is rising popularity in Canada as well as USA because it is very easy to get your construction business enlisted in any professional business listing directory.